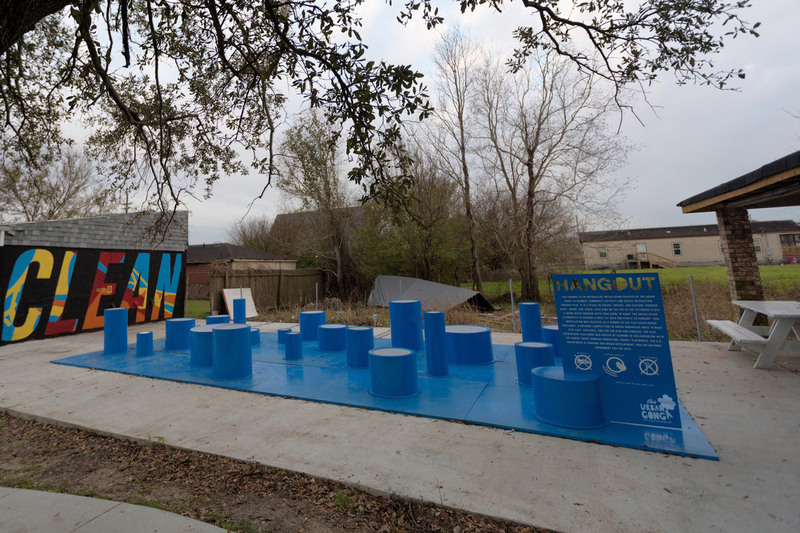 The Hangout can be found near the Lower Ninth Ward's only grocery store, barber shop and laundromat. 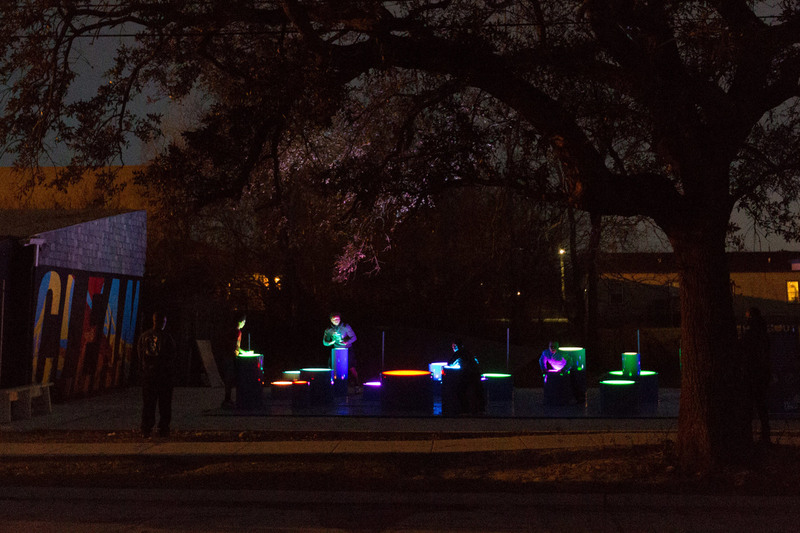 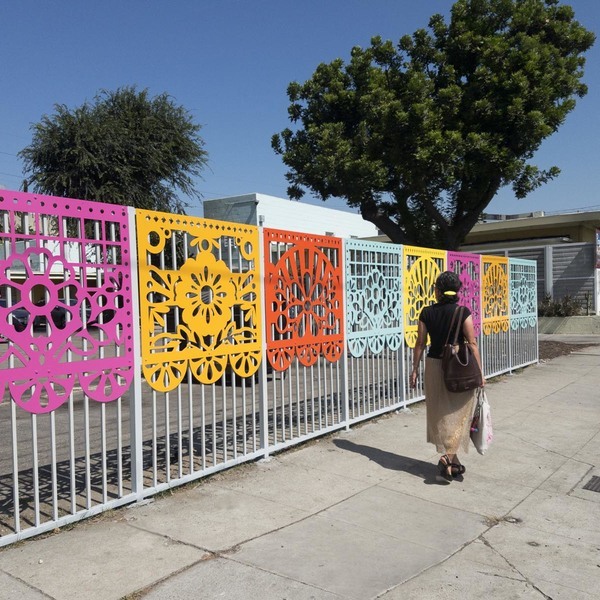 Each platform of the installation makes a specific note or sound when it is touched, allowing the community to create songs and small concerts. 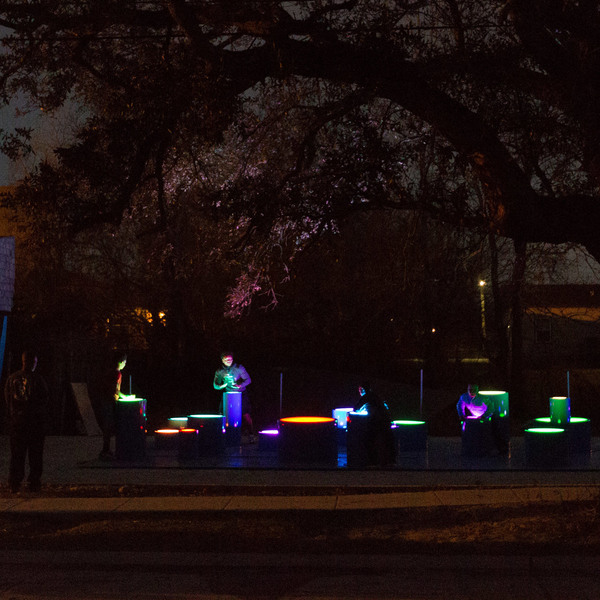 As the pieces are touched, the lights begin to change and the space becomes a magical musical light show. 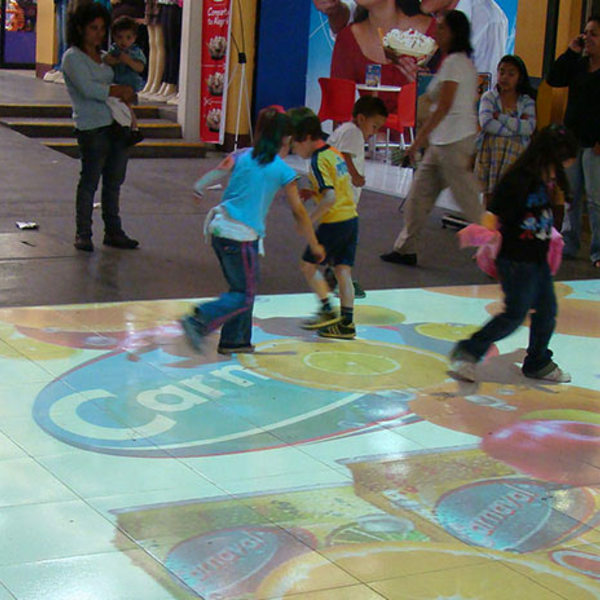 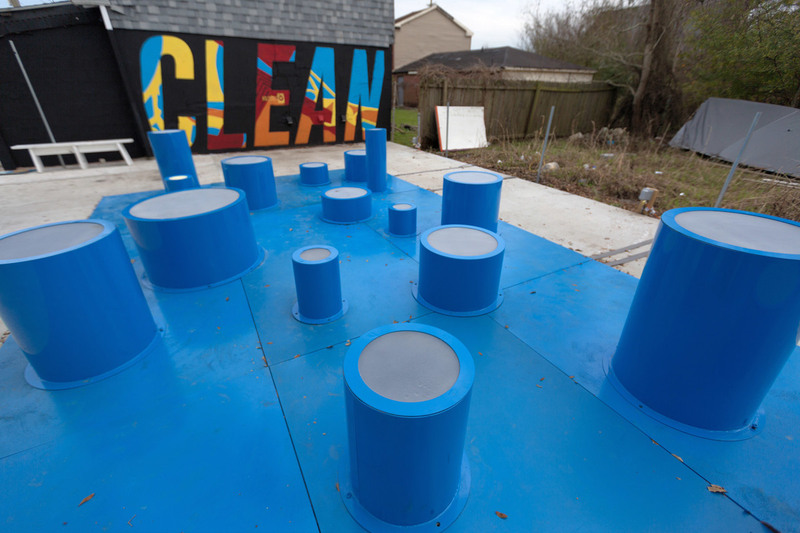 Each level of the platform provides a uniquely-designed playspace, and allows for different levels of seating and interaction on the installation. 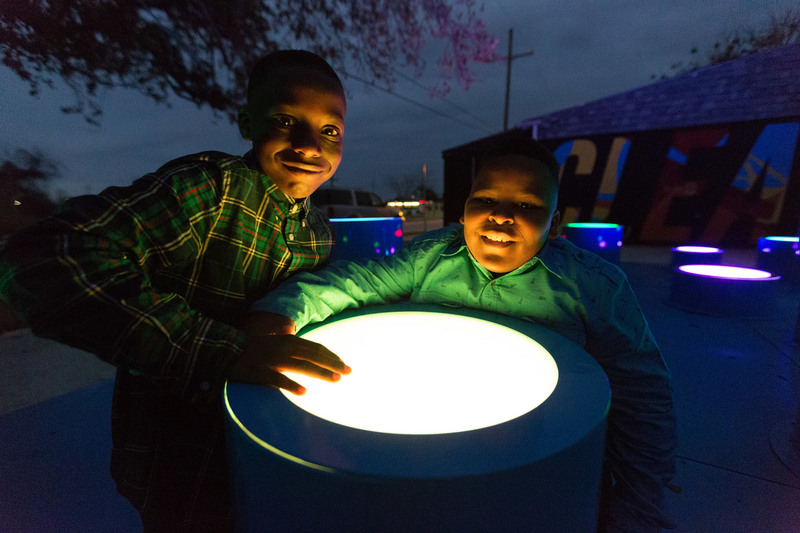 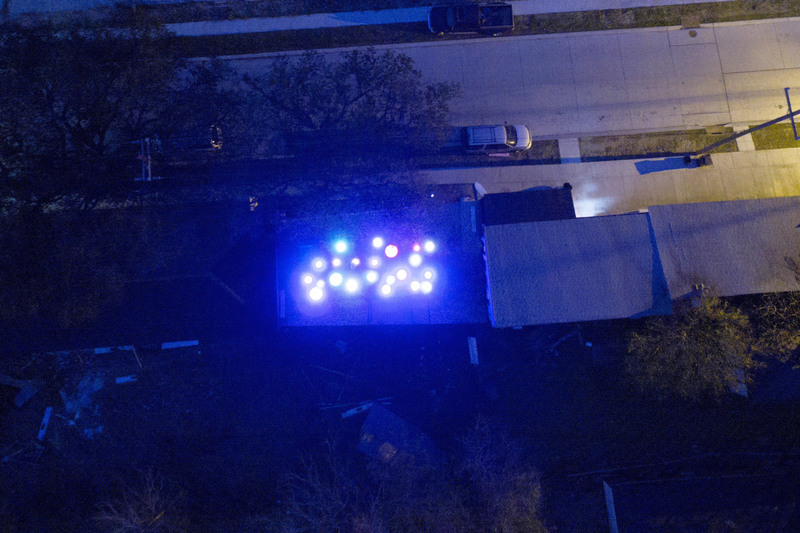 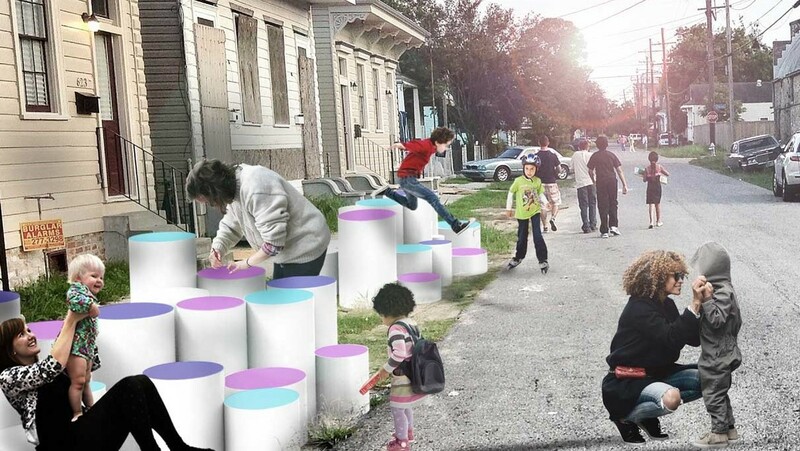 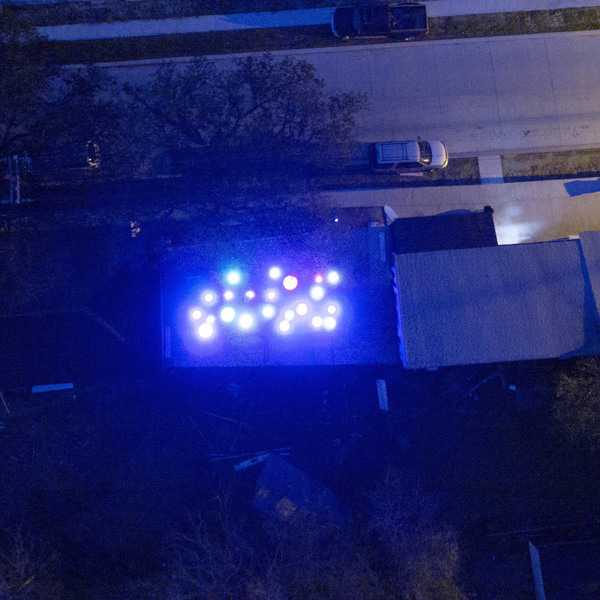 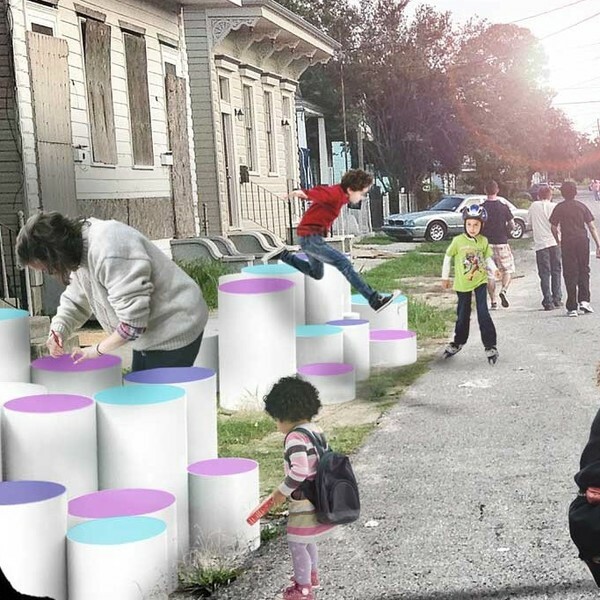 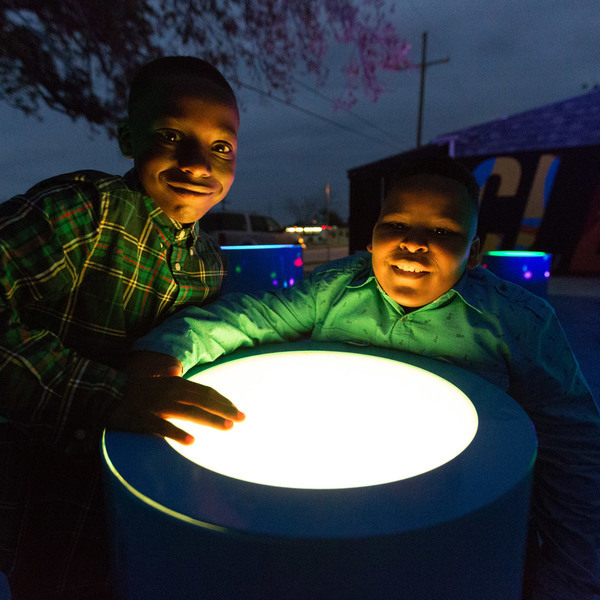 Since safety is a huge issue in the Lower Ninth Ward, the installation also acts as a source of lighting for the block at night. 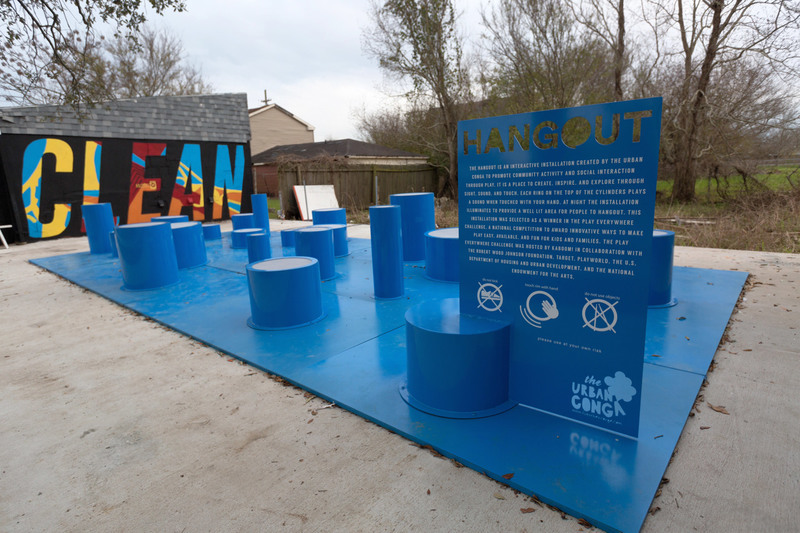 The Hangout provides kids with a safe place to wait for their school bus. 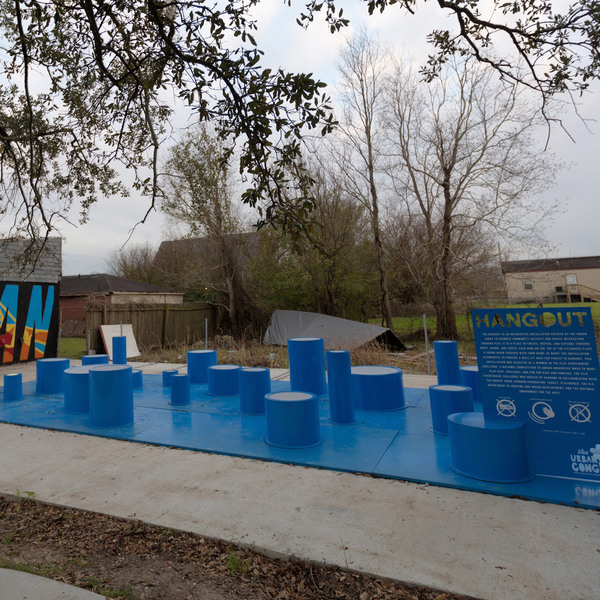 An area that is still recovering from Hurricane Katrina, The Hangout offers a playable opportunity to a location that is just beginning to be revitalized. 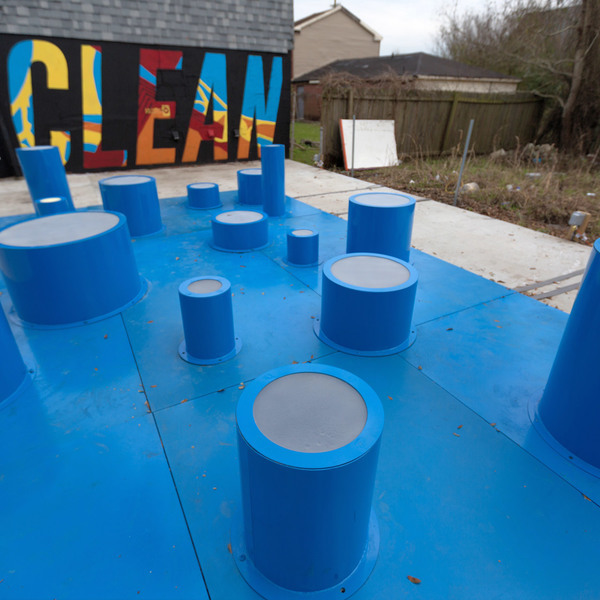 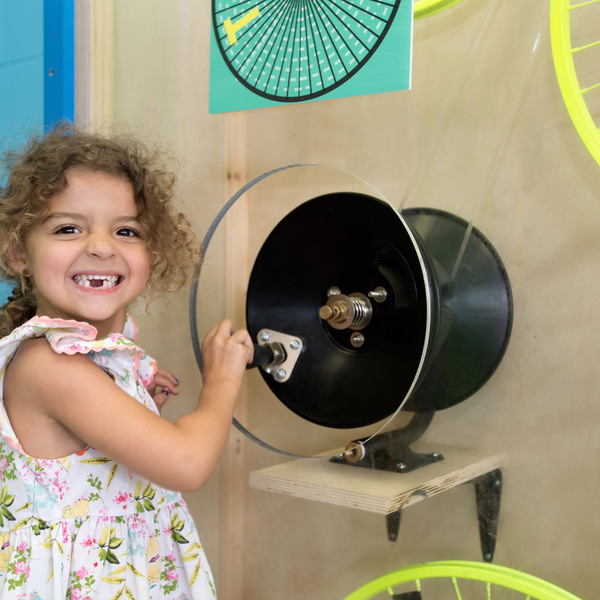 The installation not only provides the community with an opportunity to play, but also a beautifully-designed pavilion.